Submerge yourself into the intensely indulgent regime for your facial skin. Now it’s time for you to get that flawless, bright and problem-free skin. 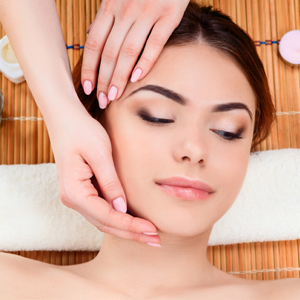 With our professional skin treatments from anti-aging facial regime to anti-tan, we cater you the quality products that are chosen to suit each specific needs of the skin. Be it dark patch removal or acne problem or maintaining flawless skin, we know the right treatment to give you impressive results. For your wedding day, we have special package to cover head to toe beauty treatments. We recommend prior consultation with our beauty experts and find the right solution for your skin. Our unisex salon also caters pre-bridal skin and hair care regime. 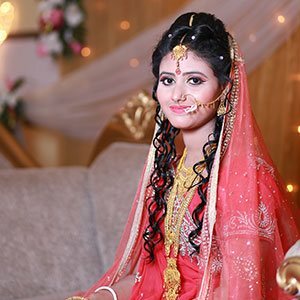 The wedding makeup is sure to win your heart, making you a very special bride and groom to be. Visit our salon to get yourself the latest haircut, or hair styling. 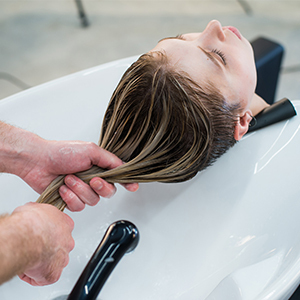 From professional range of hair spas to mythic oil treatments, you get silky, nourished hair from our hair stylists. Our hair services comprises of varieties of haircut and styling, coloring, straightening, keratin and smoothening. • Promotes blood circulation and keeps the body stress-free. • Removes tan and also moisturizes the skin. We are not done here. Our specialist treatments also include filing, polishing, nail art, and cuticle care that give amazing feet and hands. Rejuvenation and comfort of a therapeutic experience is what we promise.